An inverted curve at the front adds intriguing style to this casual cappuccino finish media console. Four shelves give you plenty of room to add components for use with your TV. 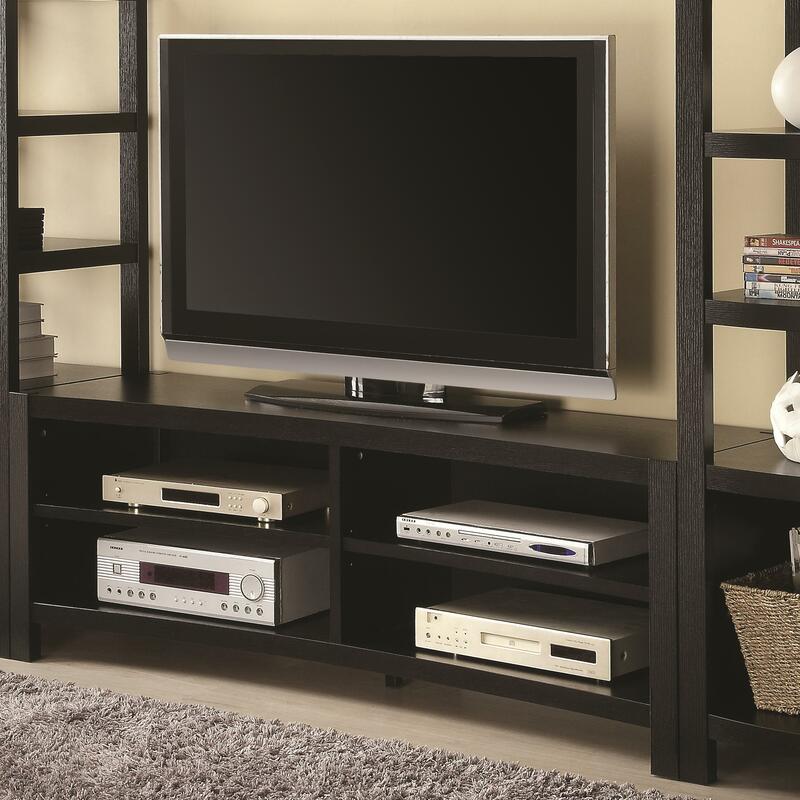 Enjoy a casual contemporary look in your living room or family room with this TV stand. It accommodates widescreen TVs up to 60 inches. Use two of the coordinating media towers with this TV console for a complete wall unit set. The Entertainment Units Inverted Curved Front TV Console by Coaster from Nashco Furniture - Nashville. We proudly serve the Nashville, Franklin, Brentwood, Clarksville, Green Hills, Davidson County, Williamson County, Tennessee area. Product availability may vary. Contact us for the most current availability on this product. Storage 4 Shelves. Maximum TV Size: 60”. Maximum Weight: 132 lbs.